Our certification and training programs combine the latest science of heart intelligence with practical energy self-regulation techniques. Those certified are able to help others experience greater mental and emotional balance, composure and intuitive flow. Numerous independent, peer-reviewed studies have shown statistically significant and sustained improvements such as reduced stress, improved employee health, lowered health-care costs, increased productivity and resilience. Choose the program that’s right for you based on your interest and skill set. Certified Trainers can provide HeartMath’s Resilience Advantage™ workshop in a variety of group settings. Workshops can be presented in their entirety, in a series of shorter modules, or embedded into other pre-existing programs. The HeartMath Institute has dedicated 28 years of scientific research into the study of the stress, resilience and performance. Over a dozen organizational-related studies, most published in peer-reviewed journals, have shown statistically-significant positive outcomes with a variety of populations. 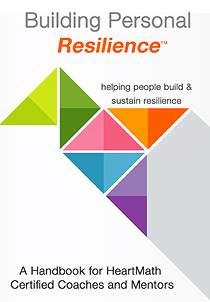 Certification in Building Personal Resilience™ is for those who work closely with individuals over an extended period. You will gain expertise in helping clients learn and apply practical resilience and energy-regulation skills – a process that ultimately helps people unfold more of "who they truly are." Statistically significant improvements in mental and emotional well-being have been demonstrated in over 11,500 people after 6-9 weeks of HeartMath training. HeartMath trained individuals learn to take charge of their mental, emotional and physical systems. Reduction in the percentage of individuals who reported the following "often" to "always". Based on pre- and post-workshop results of 11,900 people. This introductory course enables you to share HeartMath with others. From this course, you will access more of your own inner balance and heart’s guidance and learn how to teach others to do the same. 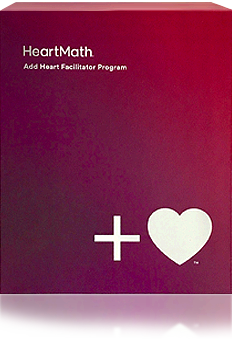 Upon completion, you become an approved "Add Heart Facilitator." This is a great first step in engaging with HeartMath training programs. 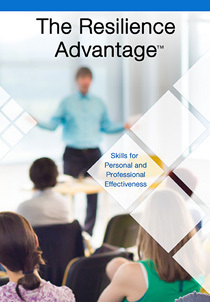 "Very convincing and most of all very useful to anyone! Simple to understand and easy to apply. With these techniques we can do better and understand that our impact on others will be full of love and beneficial!" The HeartMath Interventions Program is designed for licensed counselors, psychologists, educational therapists, doctors and other health-care professionals who want to add the benefits of HeartMath self-regulation tools and protocols to their therapeutic work with youth and adults. It’s easy to ignore that inner voice that prods us to get out and lend a helping hand. What do I have that’s special or unique? HMI Training Programs help unfold in-depth insights in how a person can thrive with less friction, more joy and compassion and live that more meaningful life that we all seek. Our programs give you the expertise that puts you in a leadership role as a teacher of the heart. "Consciously integrating the wisdom and support from our soul into our life’s interactions releases the unconditional love, compassion, and heart intelligence that we already own. We become more inclusive of the whole of humanity, with whom we are engertically connected."